Who doesn’t love a good, hot soak after a hard day? 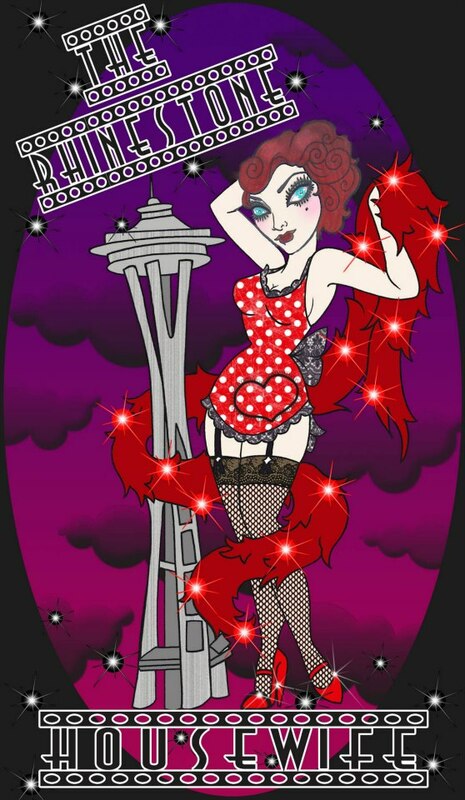 The Rhinestone Housewife loves a healthful soak in a nice, deep tub. What makes that soak better? Adding sea salt. The benefits of soaking in sea salt have long been known and practiced. These benefits include improving the moisture barrier of the skin and therefore reducing the effect of eczema (something I personally suffer from!). It also improves the absorption of magnesium resulting in the relief of insomnia as well as reducing stress as also having a positive affect on many types of arthritis. These new Three Sisters Apothecary Bath Soaks are a delight and there are available just in time for the damp cold weather waiting to creep in. Take a sea salt soak….your body and mind with thank you! Rose and Coconut Milk Bath Salt – Soak gently soothes and relaxes the body with a powerful blend of mineral rich ocean salts, pink Himalayan salts and Epsom salts. Pure Rose essential oil and petals combine with ultra-nourishing coconut milk to pamper and soothe delicate skin and detoxify the body while replenishing needed nutrients. Directions: Add 2ounces of bath salt to running water in your bathtub. Allow salts to dissolve in water for maximum detoxification benefits. 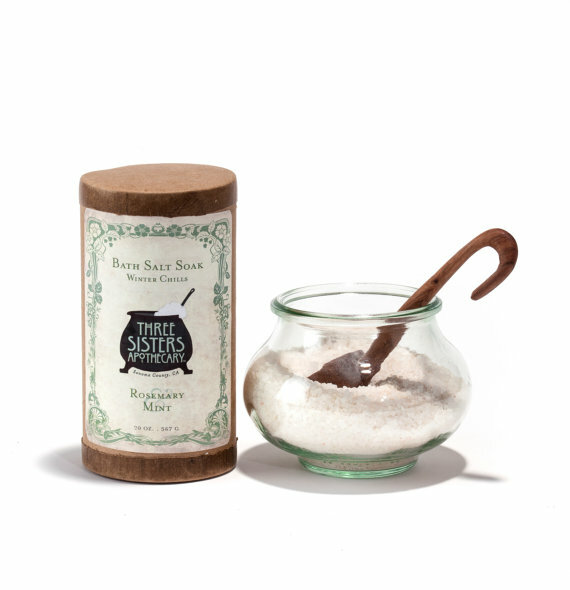 Rosemary & Mint Bath Salt – Soak gently relaxes and detoxifies the body with mineral rich ocean salts and Epsom salts. Ultra nourishing essential oils and natural botanicals replace needed nutrients while relieving winter aches and opening up stuffy, blocked breathing. Lavender & Chamomile Bath Salt – Soak gently relaxes the body with mineral rich ocean salts and Epsom salts. Ultra soothing Lavender and Chamomile essential oils combine with Arica and natural botanicals to soothe tired muscles, relieve aches and detoxify the body while replacing needed nutrients. Each package has enough salt for at least 8 bath escapes. Directions: Add 2 ounces of bath salt to running water in your bathtub. Allow salts to dissolve in water for maximum detoxification benefits. Gravenstein Apple & Clove Bath Salt – Soak gently soothes and relaxes the body with mineral rich Ocean and Epsom salts. Crisp and aromatic Gravenstein Apple blends with warm cloves, Calendula and Lemon Balm to pamper and soothe delicate skin and detoxify the body while replenishing needed nutrients. • Precious and ephemeral Gravenstein Apples grow in a riot of rich reds, yellows and greens. First planted by Russian settlers at Fort Ross in 1820, these heirloom symbols are a rich part of Sonoma County’s history. A fine balance of sweet and tart, these full-bodied apples are a local treasure. • Dark and spicy Clove, a trusted Ayurvedic herb for over 2,000 years was first brought to Europe in the 4th century by Arabic traders. An ancient Indian and Chinese herb it is rich in minerals and vitamins. • Lemon balm was used by Arab physicians, Greeks and Romans to soothe tension, treat surface eruptions and cleanse skin naturally. • Epsom salts are rich in magnesium and sulfates which support a healthy circulation, regulate electrolytes and detoxify the body. 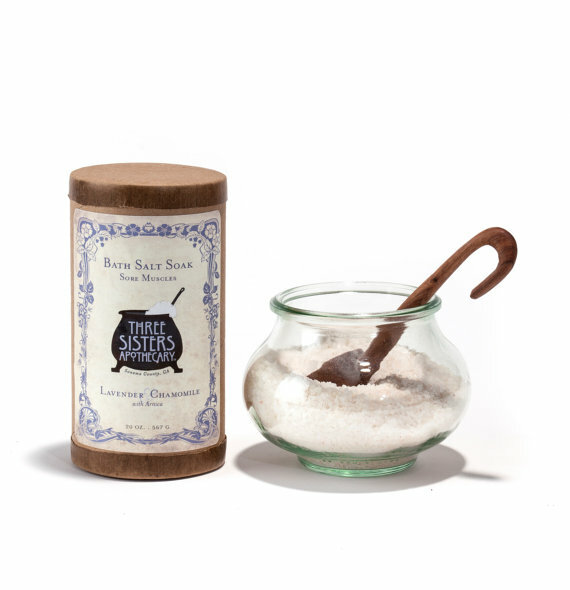 These salts are extremely beneficial for skin softening and alleviating muscle soreness. Lemongrass Bath Salt Soak – Naturally refreshing Lemongrass deodorizes and cleanses to gently pamper and soothe the skin revitalizing and awakening the body. The Skin Renewal Complex blends key actives of Chamomile and Yarrow to soothe, balance and hydrate all over. • Lemongrass native to Southeast Asia is a beneficial herb that addresses skin issues. This highly fragrant grass, with zesty, strong and lemony undertones is naturally astringent, minimizing pores and balancing surface oil to firm skin. • Roman Chamomile highly valued for its many beneficial properties by ancient Egyptians, Romans and Greeks was regarded as a sacred herb. The flower-heads of chamomile are extensively used, as it has excellent properties for alleviating skin issues. • Sweet and spicy Yarrow has countless medicinal benefits and was first used by ancient Greeks, soothsayers and magicians over 3,000 years ago for treating skin and health issues. Rich in tannins and flavonoids it has skin soothing, balancing and moisturizing benefits. • Pacific Sun Dried Sea Salts rich in calcium, potassium and magnesium add valuable trace minerals to the bath, softening the water naturally and gently cleansing the skin. • Vitamin E, a powerful antioxidant fights free radical damage, hydrates and softens skin and has been shown to support the skin’s oil balance during bathing while reducing epidermal water loss.